My vote for the most unusual lighthouse in the State of Maine goes to the Kennebec River Range Lights located on Arrowsic Island. Range lights are a pair of beacons marking a safe line of passage for ships entering a dangerous channel. The lights are lined up by the mariner one above the other in order to ensure a proper bearing. 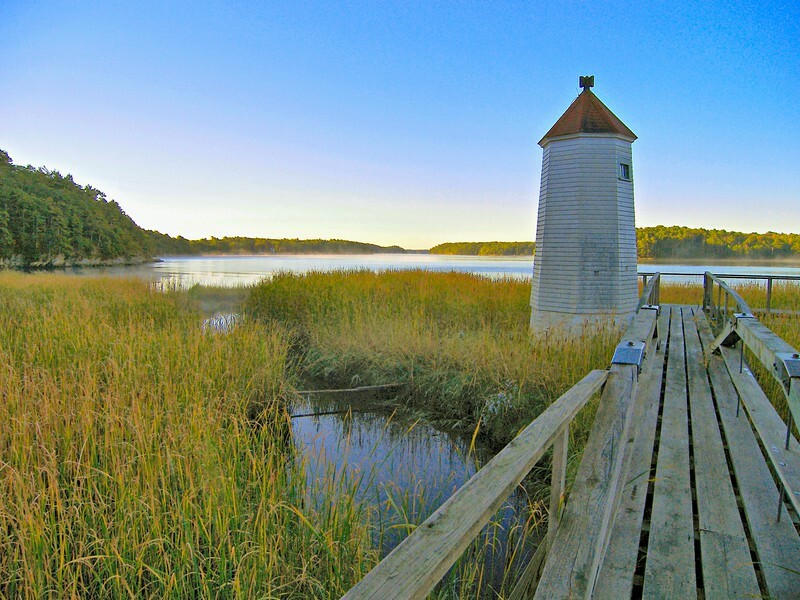 The Kennebec River Range Lights are located on a section of the river where an 'S' turn occurs making it tricky for navigation. Originally private lights were maintained along the lower Kennebec River by shipping interests to protect their ships. With the establishment of the Bath Iron Works ship building business upriver in the late 19th century, agitation for proper aids to navigation began in earnest.